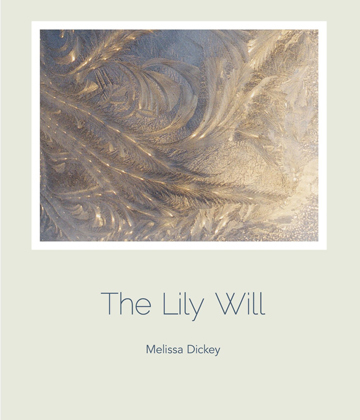 Melissa Dickey is the author of Dragons (2016) and The Lily Will (2011), both from Rescue Press. Her poems and reviews have appeared in Puerto del Sol, Sundog Lit, and KROnline. She lives in Deerfield, MA, with her husband and three children. 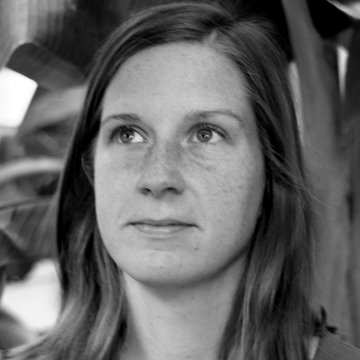 Melissa Dickey's rending and sparely lyric second collection, Dragons, moves in five exacting suites. Or should we call them acts? These long poems are cobbled between self and selves, in the fleshed halo of space that separates even the closest kin: cousin and cousin, mother and child, husband and wife. The speaker, though often an actor in someone else's scene, moves keenly aware of the agency in devotion, on which the rest depends: "I did what they said: Hold your baby. Give her a kiss. I did what they said I did what they said I did." Dickey shows us life in flickers, and the beauty and terror of these poems stream by in potent, portentous moments: "He says I should be worried/ about the dragons in the White House./ He says I should be worried/for my children./ Don't you love that baby more than anything else in the world?/ I said: There are good dragons and bad dragons."